Dibond® Multiple – make an impression! Want to turn your photos into real works of art? Add an ultra-contemporary look by splitting your photo over several panels and make an impression. 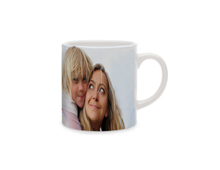 Dibond is a direct print on a composite aluminium backing. Its matt finish preserves your photos’ colour intensity. 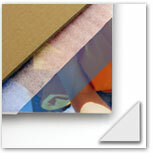 This ultra-trendy backing is often used by professional photographers to display their work. 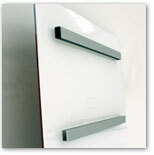 A mounting system is fitted on the reverse for invisible wall-mounting. Choose your favourite photo and split it over 2, 3, 4, 6 or 9 Dibonds, according to the model selected. You decide the dimensions of your Dibond Multiple, to the centimetre, the total composition covering a maximum of 120 x 180 cm or 180 x 120 cm. All you need to do now is measure your wall! You choose the combination of Dibonds that suits you and then select the dimension of an individual Dibond (minimum 20 x 20 cm / maximum 90 x 120, according to the combination selected). Give your home an ultra-trendy look.